It’s perfectly possible for a garage door to work well and to be perfectly safe for years to come. It just needs proper maintenance. Each session must include the following jobs. Since torsion springs wind and unwind, they have to be lubricated. Extension ones stretch and contract so there is no friction between the coils and therefore no need for lubrication. The work begins with a test of the torsion spring. If there are hard lumps of dirt or small insects stuck into the grease, the coils should be cleaned properly with mild solvent. The dry spring is ready for lubrication. Lithium spray is an excellent choice and so is any product recommended by the door’s manufacturer. The goal is to apply a thin layer of lubricant across all coils. The first step is to check for bending, rust and other types of damage. Rust should be easy to remove with a specially formulated product. Bent sections can often be straightened. If a hinge is damaged beyond repair, however, it must be replaced. Both old and new hinges should have tight bolts. Damaged and missing bolts have to be replaced immediately. Hinges require lubrication too. The key thing is to use a small amount of lubricant. After one or two cycles, the compound will be properly spread. The hardware parts and especially the trolley require a careful check. The wiring should be inspected for damage as well. The belt doesn’t need to be lubricated, but the places where there is friction between the trolley and the rail will benefit from a few drops of lubricant. The closing force setting should be tested with the help of a step ladder set underneath the door during closing. If the door hits it, the force should be reduced. The test for the safety sensors involves waving a stick in front of them while the door is closing. If the door doesn’t reverse, the sensors should be fixed or replaced. 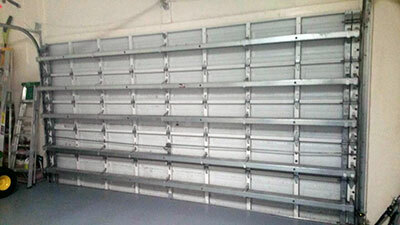 Have you ever thought about using professional garage door maintenance services? Let us save you time, effort and money as well. 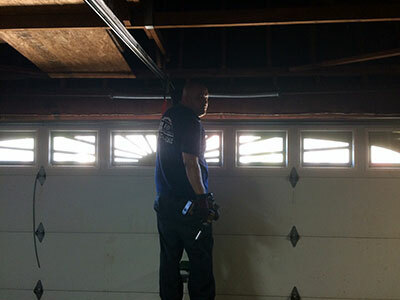 We, at Garage Door Repair in Plummers Cove, will do all the work on a regular basis. Count on us to keep all parts in top condition. If our inspection shows damaged or broken components, we’ll repair or replace them quickly. To hire our services, give us a call or send us an email.